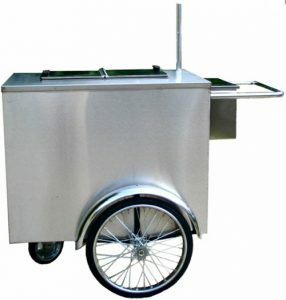 Built sturdy and tough, the 800 Buy Cart Cube Ice Cream Cart is a small volume Ice Cream Pushcart, perfect for catering and party venues! 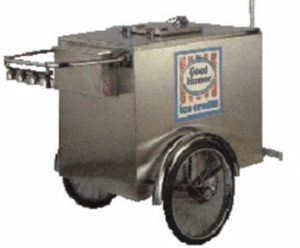 It’s a small sized Ice Cream vending Cart ideal for those vendors who seek a light weight cart that is very easy to push and small to store. 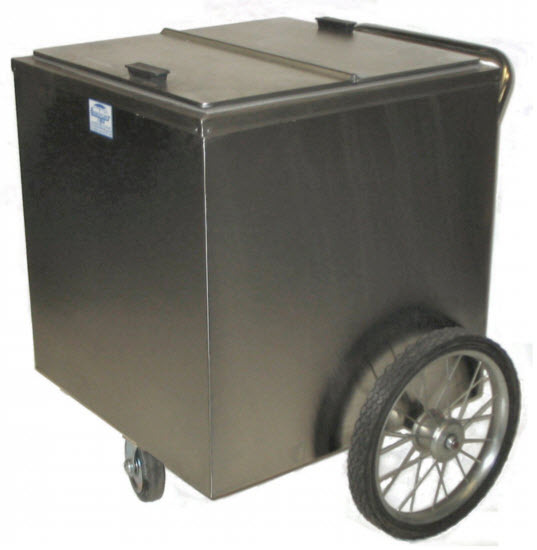 The Cube is ideal for scooping ices. Exterior cabinet size is 25″ x 25″ x 25″ featuring an all high quality, built with non-magnetic Stainless Steel. 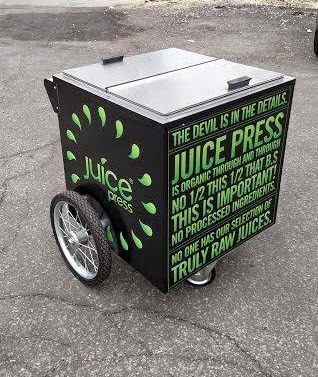 With a 20″ x 20″ flip top door and two inches of insulation on the side walls and top. 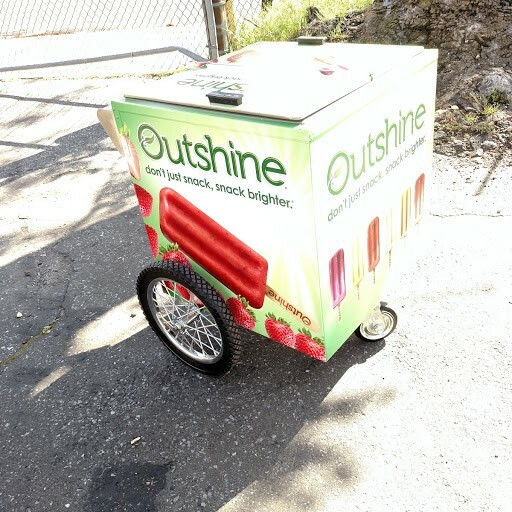 16″ side pushcart wheels with a front caster. 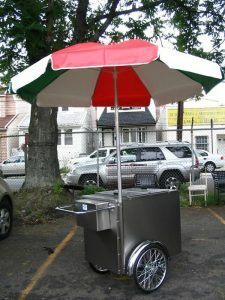 Ideal for events such as parties, catering, etc. 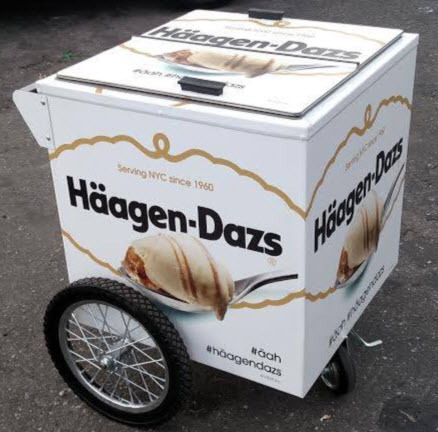 Depending upon length of time you intend to vend, you may not need dry ice. 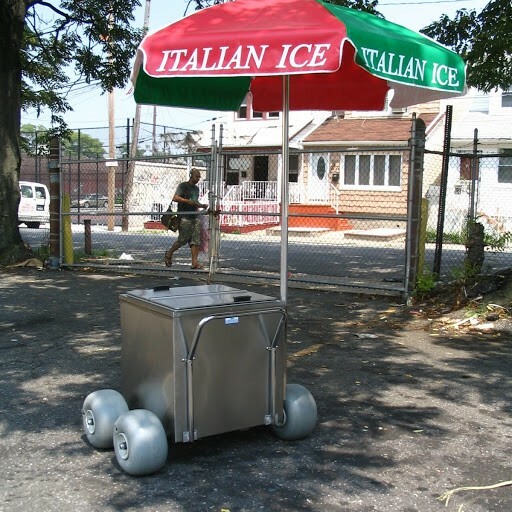 We do suggest that the purchase of ice cream carts or other vending carts be discussed with our sales department to make sure the selection is correct for your application. To Purchase our Cube please Click Here and you can checkout thru Worksman Cycles.